Owners of mid-sized containerships, 7,500-11,000 teu, are suffering from the traditional slack season lull in charter market enquires,. However, this year the employment outlook is even bleaker as ocean carriers begin to receive large numbers of new ultra-large container vessels (ULCVs). There are 13 ULCVs of 18,000 teu and above still scheduled for delivery this year, although carriers may well postpone these until the first quarter of next year. However, these will then combine with the deliveries of another 28 ULCVs of 18,000 teu-plus. According to Alphaliner data, there are currently six 8,000-10,000 teu vessels in spot positions, with more expected to be seeking employment in the coming weeks as they are off-hired by ocean carriers. 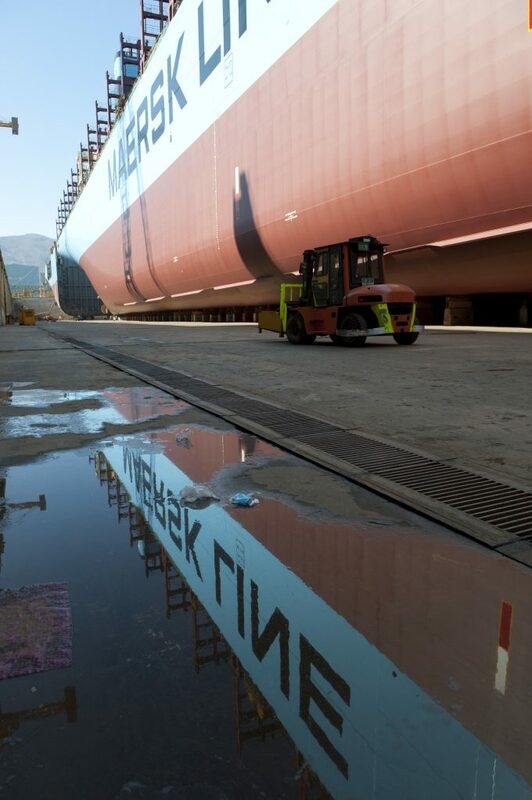 Speaking during Maersk Group’s third-quarter earnings call on Tuesday, Maersk Line chief operating officer Soren Toft advised that the carrier would take delivery of another six second-generation 18,000 teu Triple-E vessels during the next 12 months, along with five 14,000 teu utility ships. Mr Toft said that although there was an agreed delivery schedule, “if we find that fundamentals are different then we will surely take up dialogue with the yard”. In the past few years, ocean carriers have succeeded in gaining the upper hand with shipowners, not just on daily hire rates but also on time periods, options and positioning. And the bigger and the more solvent the carrier, the more clout it has in the charter market. One broker told The Loadstar recently that an enquiry from the big three – Maersk, MSC and CMA CGM – took priority over any other interest in the ship. Meanwhile, for the smaller sized boxships the prognosis is mixed. Alphaliner notes that in the 5,300-7,500 teu segment, spot availability is currently scarce, driven by robust demand on north-south routes. Meanwhile, the classic 4,000 teu panamaxes continue to suffer from oversupply and, as a consequence, have seen daily hire rates weaken from around $8,000 to about $7,500 in the past month. This contrasts with the smaller sectors of below 4,000 teu, where there is currently very limited spot tonnage availability. As a result, rates are said to be “firm” at around $8,500 per day for a typical 2,500 teu vessel. Nevertheless, owners are not necessarily able to reap the rewards of the tonnage squeeze. “This is a frustrating situation for owners who have so far not really been able to take advantage of the low availability of tonnage to obtain more flattering charter rates for their ships,” said Alphaliner. Alphaliner’s most recent idle tonnage survey showed 157 ships in hot or cold lay-up, 593,995 teu, representing 3% of the global fleet– 78% of which are under the control of non-operating owners.